Many clients prefer, whenever possible, that we use environmentally friendly products in our ENVIRO-FIRST program. This program employs botanical insecticides with all-natural active ingredients including rosemary, vanilla, and peppermint oil. Ask us about this option and we will be happy to assess whether your issue can be treated with these safe, natural essential oils. Remedies for severe pest problems often require the use of products with chemical additives. Still, they don’t always have to be so toxic when sprayed to be successful. We appreciate the results of a product called Tremidor, for example. 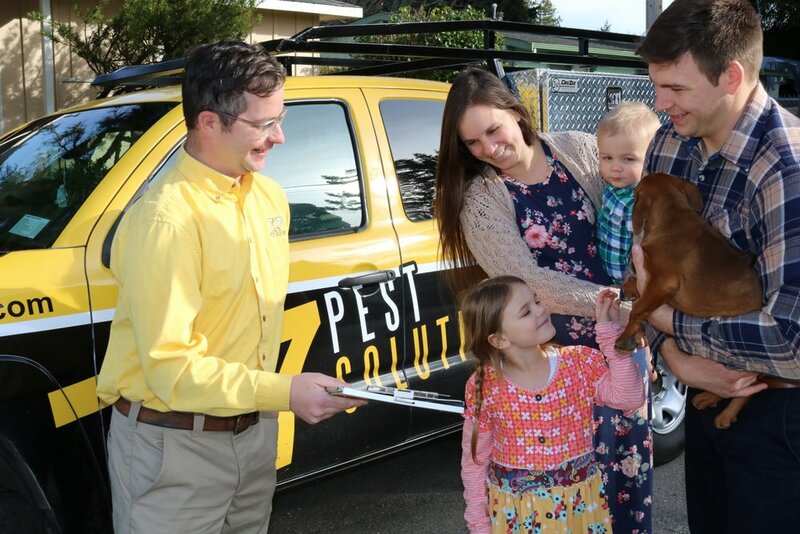 Our professional exterminators will lay this non-repellant product near active pest trails. The pests do not sense this treatment as they move along the trail in search of food.